Who is Your Vampire Soulmate? Ok, first off, I did this quiz in the hopes of getting Spike as my answer. I did not get the hotty formerly know as "William the Bloody". Maybe you’ll have better luck. Lol. "Charlie’s Angels," died Thursday after a long battle with cancer. She was 62. Fawcett died in hospital surrounded by friends and family shortly before 9:30 am (1630 GMT), reports said. Angeles Times said. He was 50. 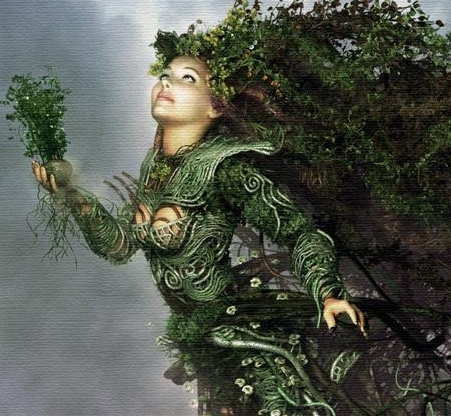 Event Details: Join the Earth*Spirit Society of Nova Scotia, and the planning group of the AEGIS festival at their Midsummer Renaissance Faire! Plan for a day of fun with your family * games for kids, barbecue, vendors and entertainment for all! Dress up if you want, and have an opportunity to win a prize for best costume! **There is no fee to attend. However there will be a cost associated with BBQ, and games! Please email us if you are interested in setting up a vendors table, we’d love to have you! Saturdays from 8am – 1pm. of Events’ page that lists additional events we’ll be attending. Free Spell Day! In honor of the Summer Solstice I will be offering one (1) free spell to anyone who registers before June 20th, 2009. You can register by signing my guest book* and emailing me your full name and spell request+. Alright I’ll admit that some of these are laughable. However I have met people who really do believe some of these myths. So read, have a laugh or simply learn something you thought you "knew". 1. Witches are naturally evil. 2. Witches are not human but rather an evolved form of humans. 3. Witches do not look like regular people. 4. You must be born into a family of Witches to become one. 5. Witches can steal "powers" from each other. 6. Witchcraft and Christianity are opposites. 7. It is difficult to hurt a witch. 8. Witches are resistant to spells. 9. Witches always dress in black. 10. Witches can change their form and appearance at will. 11. Witches can change the form and appearance of others at will. 12. Witches can manipulate time. 13. All Witches engage in ritualistic orgies. 15. Witches can fly without broomsticks. 16. A witch is a female with super powers. 17. A male witch is called a Warlock. 19. Witches have made a deal with Satan to attain super natural powers. 20. Witches perform animal and human sacrifices. 21. Witchcraft has no rules. 24. Wicca and Witchcraft are the same thing. 25. Wicca has nothing to do with Witchcraft. 26. Witches promote Abortion as a form of human sacrifice. 27. Witches are allergic to water. 29. No man can be a witch. 30. Witches are the same a Gypsies. 31. Witchcraft is not a religious practice. 32. Being a witch means not believing in any higher power. 33. Witches can possess people. 34. Witches get sick or hurt when Jesus Christ is mentioned or a crucifix is shown to them. 35. All witches practice "Black Magic"
36. Witches and Genies are always communicating. 38. Witches become a witch by having another witch cast a spell on them. 40. Witches can turn into ghosts. 41. Witches can make things "float"
42. Witches do not come out during the day. 43. Witches avoid public and live in the woods. 44. Witches have no worries and are always happy. 45. Witches can bring pictures "to life"
46. Witches summon demons and then take control of them for future use. 47. Witchcraft is not a religion. 48. Witches put curses on priests. 50. Witches do not exist..